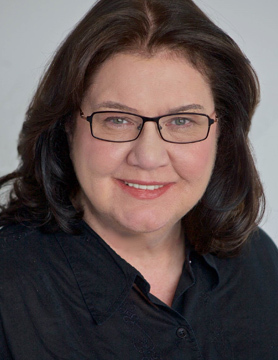 Eileen Murray is the Co-CEO of Bridgewater Associates, responsible for overseeing the day-to-day operations of the firm and leading the transition of the firm from a founder-led company to a partnership with Co-CEO David McCormick. During her tenure at Bridgewater, Eileen has led several key strategic initiatives, including: the conception and execution of the innovative tri-party outsourcing model for all Bridgewater clearance and settlement functions in partnership with BNY Mellon and Northern Trust; oversight of Bridgewater’s long-term real estate needs and fulfillment strategy; the establishment of a new operating model for the firm’s enablement functions, including finance, HR and facilities; as well as the establishment of the firm’s Diversity and Inclusion Council. Eileen joined Bridgewater in 2008 before becoming Co-CEO in 2014. Prior to joining Bridgewater, Eileen held senior leadership roles at Morgan Stanley and Credit Suisse during her two decades plus tenure in the financial services industry, including serving on both firm’s management and executive committees. She was also appointed the first female member of Credit Suisse’s executive board. Eileen launched her professional career at Morgan Stanley in 1984 and held the positions of Controller, Treasurer as well as Chief Operating Officer for the Institutional Securities Group, one of the largest and most successful global sales and trading platforms in the industry. In 2002, she joined Credit Suisse as Head of Global Technology, Operations and Product Control and member of the firm’s management and executive board. She returned to Morgan Stanley in 2005 as Head of Global Technology and Operations. Following her second stint at Morgan Stanley, Eileen served as the President and management committee member of Duff Capital Advisors, before joining Bridgewater. Eileen is a board member of the Financial Industry Regulatory Authority (FINRA) as well as the Irish Arts Center (An Claidheamh Soluis). She has also served as a board member for the Business Council for International Understanding, the YMCA of Greater New York, the Argonne National Laboratory at the University of Chicago, the Inwood House in Upper Manhattan, Hewlett Packard, the Depository Trust and Clearing Corporation Board (DTCC), OMGEO, Manhattan College and the American Women’s Economic Development (AWED) Corporation. Over the course of her career, Eileen has received many prestigious recognitions for her industry leadership as well as for her extensive philanthropic work. Most recently she became the first female in Manhattan College’s history to receive the College’s De La Salle Medal of Honor. She also recently received the Women’s Entrepreneurship Day Organization Pioneer Award in Finance at the United Nations. Other notable acknowledgements include: the Lifetime Achievement Award from Markets Media as well as being named one of the 50 Leading Women in the hedge fund industry by The Hedge Fund Journal, one of the 20 Most Powerful Non-Bank Women in Banking by U.S. Banker and one of the 100 Best and Brightest Leaders by Irish America Magazine. She has also been named an Afterschool Champion by the Partnership for After School Education as well as given the Women’s Bond Club Merit Achievement Award, the Legal Momentum’s Aiming High Award, the Urban Stages Humanitarian Award and the YMCA of Greater New York’s Arts and Letters Award for Outstanding Leadership. Eileen holds a Bachelor of Science degree in accounting and an Honorary Doctoral Degree from Manhattan College.